Zimbabwean President Robert Mugabe has resigned. The 93 year old, who has ruled Zimbabwe for the past 37 years resigned in a letter sent to parliament, the head of the parliament has revealed. 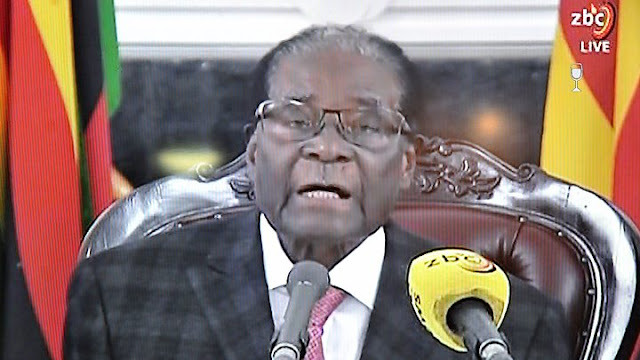 The parliament had initiated impeachment proceeding on Mugabe, after his defiant speech Sunday evening where he vouched to stay on as leader of the party. The letter said the decision was voluntary and it was done to allow a smooth transition of power. While many in Zimbabwe have openly jubilated, the move does not in any way make solve the whole political uncertainty surrounding the country. According to the constitution, in a scenario like this, the current Vice-President should take over. That person is Phelekezela Mphoko who is part of first lady, Grace Mugabe's caucus. It is uncertain how the Military would react to that, or if the ruling party would impose else-while Vice- President Emmerson Mnangagwa as leader of the party and heir to take over.